For the purpose of insurance only, the IAHT recommend BGI who are authorized and regulated by The Financial Services Authority. Professional Liability insurance is not currently a legal requirement. However, a number of Professional Organizations, including IAHT, strongly recommend having insurance if you are practicing and promoting yourself as a Holistic Therapies Practitioner using Therapeutic or Coaching Techniques or starting a small business. Claims for compensation from clients are becoming more and more common in an age of `no win, no fee` personal injury lawyers, and a large claim could be very damaging to a sole trader or small firm without the necessary insurance in place. Adequate insurance also offers a valid benefit to your clients, whom you can communicate to both existing and potential new clients. Insurance provides your clients with the peace of mind that if something should go wrong, there are funds in place to compensate them in the event of a loss or injury. Professional Liability insurance is available at preferential rates to members of IAHT, through BGI Insurance – Specialist insurance Brokers. We insist our members have professional indemnity insurance. 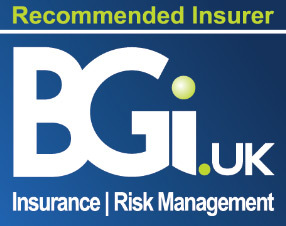 All IAHT members receive 10% discount off their insurance when booking with BGI.Once you sign up as a member of the IAHT we will email you a booking form for BGI insurance where you can register to receive your 10% discount. PRI/LTD BY GUAR/NSC (Private, limited by guarantee, no share capital), a non profit organization.